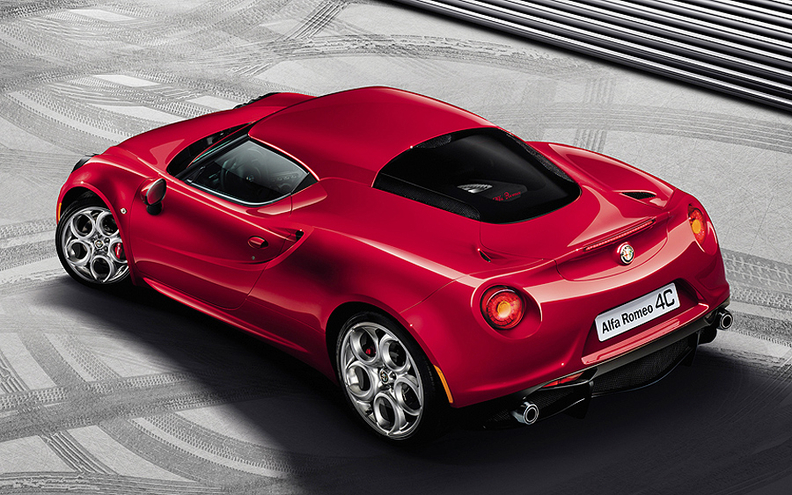 The Alfa Romeo 4C coupe already is available in Europe and will be sold in limited numbers in North America. DETROIT -- Fiat Chrysler has awarded 86 Alfa Romeo franchises in the United States and Canada ahead of the Italian brand's return to the United States later this year. The franchises are in 33 states, with concentrations in California, Texas and Florida, the automaker said. Of the initial 82 franchises in the United States, 79 were given to existing Fiat dealers. The franchises were awarded ahead of the launch of the Alfa Romeo 4C coupe, which is to go on sale later this year in North America. The two-seater already is available in Europe and will be sold in limited numbers in North America. The selected dealers each will receive a special edition "Launch Edition" of the 4C, the company said in a statement. Grady said the Alfa Romeo network eventually would grow to more than 300 dealerships. The Fiat brand, which returned to the United States in 2011, has more than 220 dealerships. Lisa Copeland, general manager of Fiat of Austin, said she was excited that her store had been awarded an Alfa franchise. Getting Alfa Romeos may be a problem for dealers, at least initially. The brand only plans to bring less than 1,500 Alfa Romeo 4Cs to North America annually, and is not expected to bring over its MiTo subcompact or the compact Giulietta. A mid-sized sedan -- based on the brand’s new Giorgio architecture -- is expected to go in production in late 2015 and debut in Europe in mid-2016, but won’t arrive in the United States until late 2016. Seven other Alfa vehicles, all unidentified in the brand’s five-year global product plan, are set to appear between 2016 and 2018, brand head Harald Wester said in May. Yark Automotive Group in Toledo, Ohio was also awarded one of the first Fiat franchises in the United States and was among the initial 82 dealerships for Alfa Romeo. General Manager Doug Kearns said adding Alfa would be a “turnkey” operation for Yark because it already has a full stand-alone facility for its Fiat franchise. Kearns said he only expects an allocation of “two or three” Alfa Romeo 4Cs at his store in Toledo, one of four Alfa franchises awarded today in Ohio. In May, Yark Fiat had its best month since it began selling Fiats in early 2011 with 25 new Fiat sales. Kearns said: "It’s tough for any store with low volume to make the numbers work, but we’ve been able to do it."